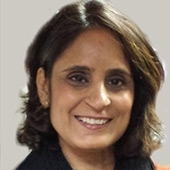 Originally from Karachi, Pakistan Salimah Walani brings her personal and professional experience and perspectives to her current work as Director of Global Health Programs at the March of Dimes Foundation. Dr. Walani’s responsibilities include developing programs and networks for prevention of adverse maternal and neonatal outcomes in low and middle-income countries. She is currently overseeing March of Dimes supported initiatives in Malawi, Tanzania, Lebanon and the Philippines. She represents March of Dimes on various international committees related to birth defects and preterm birth and works with a variety of stakeholders. Dr. Walani has over 20 years of experience in public health, healthcare management, quality improvement and nursing education and she has worked in a variety of healthcare settings. Dr. Walani received her initial nursing and midwifery education from the Aga Khan University in Pakistan. She holds a Masters of Public Health from Harvard University and a PhD from New York University.